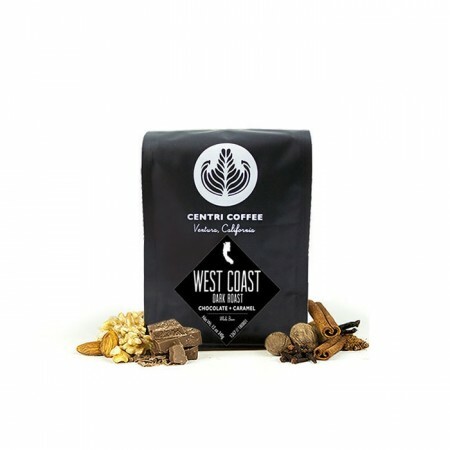 The West Coast Roast was blended and roasted for you by Centri Coffee. This coffee is a blend of seasonal coffees from South America that rotate throughout the year. West Coast is a rich and hearty blend with a full body and roasty notes of dark chocolate. I enjoyed this coffee very much. It was smooth and flavorful. Nice aroma. Even my husband, a non coffe drinker, mentioned how great the aroma was when fresh brewed-something he does not usually notice. Ok - but my least favorite so far! Seemed to taste better when brewed in french press than chemex, but still a bit too smoky tasting for our taste. A little more bitter than we prefer as well. Smooth with just the right amount of bitterness, a touch of bitter. Delicious. This was a bit too oily for my liking. I'm still new, and not sure what it is, but the oil level definitely affects my level of enjoyment. This was possibly my favorite coffee so far. This was a fantastic selection. We loved it. Liked the chocolate notes and full bodied flavor of this. I'm not the biggest fan of dark roasts, I prefer medium roasts. Bit too acidic for our taste. It's not a bad coffee, but our taste is evolving and it was just too dark/roasty for us. We are gravitating toward medium roasts with a less roasted taste. Super good - love the chocolatey notes.